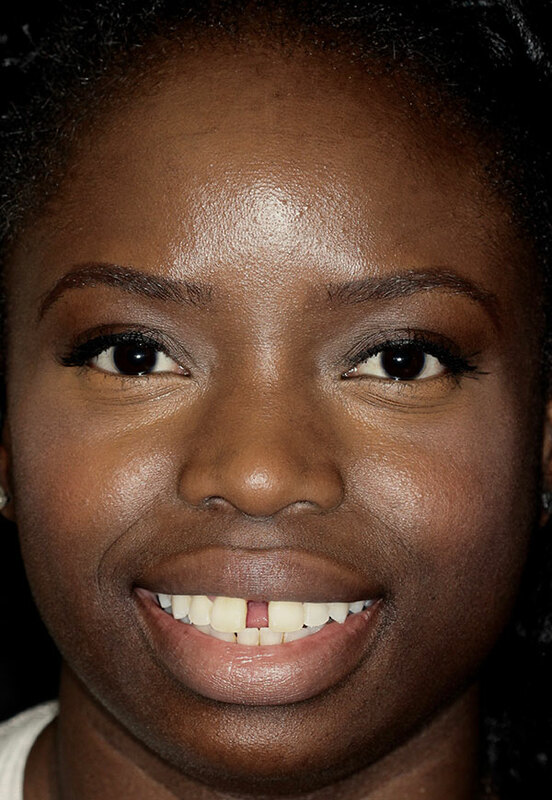 Closing gaps is one of the top reasons people see us for porcelain veneers! 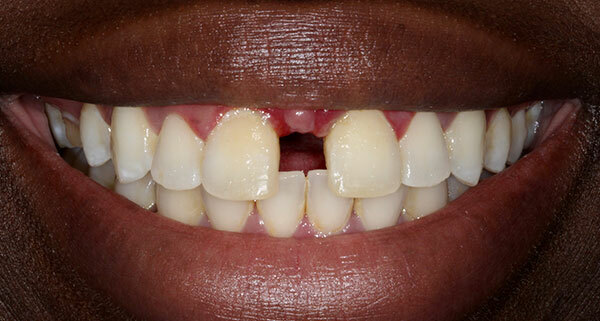 Our patient had a lot of extra room between her front teeth and she didn’t want or have time for braces or Invisalign. 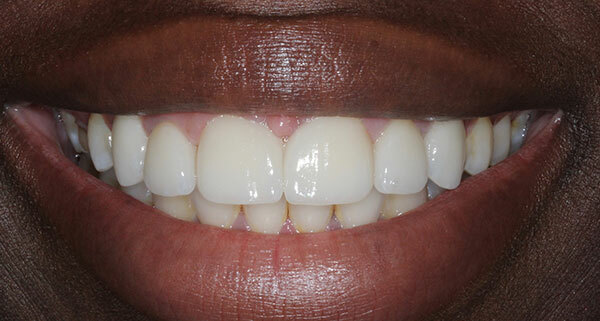 We placed 6 porcelain veneers that completely changed our patients smile. 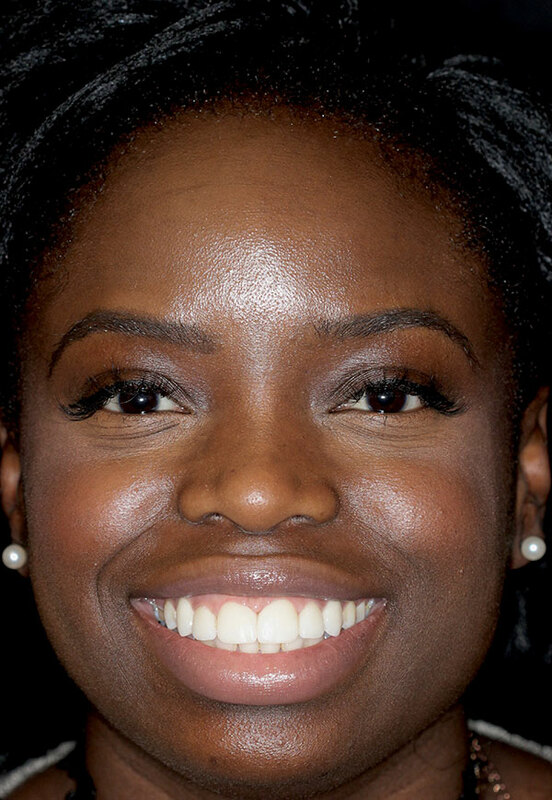 In addition to closing the space and whitening her smile, the veneers gave our patients teeth more symmetry. Since the teeth weren’t moved, there was no need to stress about wearing a retainer. This makeover was accomplished in 2 visits to our office!